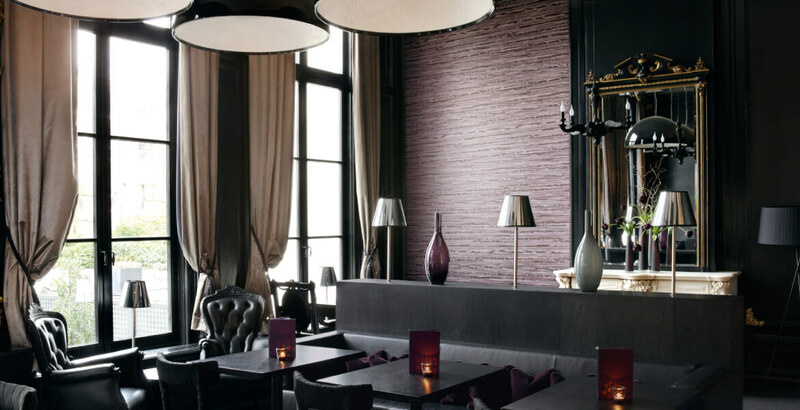 The Grandeur collection offers an extensive range of luxurious wall coverings, ranging from elegant ornaments in flock and beautiful glass pearls to subtle patterns in shiny effects. The colours range from champagne and greys to soft olive green, hot spring colours to deep black. Floral designs and regal arabesques are interspersed with textured effects of wood grain and croco patterns.